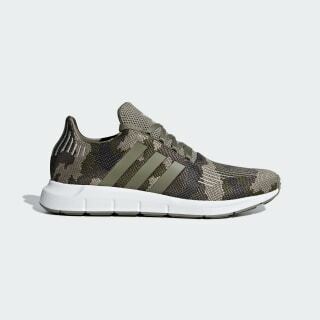 Lightweight knit shoes with a camouflage pattern and embroidered details. The Swift distills elements from '80s running designs and adds a modern feel. These knit shoes are covered with a striking camouflage graphic and are finished with smooth welded details. They come with a supportive, sock-like feel and are built for all-day ease with a cushy midsole.